A little scene built for New Elementary to showcase a new part for 2017 Plate 1X1 Round W/3.2 Shaft/1,5 Hole a.k.a. the “Stud with Bar” (Design ID 32828) . Some are thinking it looks like the Coffee filter basket on an espresso machine. Categories: Lego, New Elementary | Tags: bar, Lego, New Elementary, part, Stud | Permalink. LEGO Colour 107 , Dark Turquoise or Teal is a lovely colour. Mark’s first set as a LEGO designer, was the Exo-Force Dark Panther. He had the choice of making it in either Purple or Teal, and whichever colour he chose, the other would be cut from the LEGO colour palette. Obviously he chose purple…so Mark Stafford Killed Teal. Categories: COLOUR, Lego, Minifigure | Tags: COLOUR, Dark Turquoise, killed, Lego, Mark Stafford, MOC, Teal | Permalink. This build all started with the part Wave Rounded Energy (Power Blast) with Bar Handle as all I could see was flowing water! Categories: Lego, MOC | Tags: Lego, water | Permalink. Miro Dudas is a talented LEGO builder who generously shared instructions to build his pose-able Princess Leia character. If you click on his image above, it will take you to the original Flickr image where Miro shared the instructions. 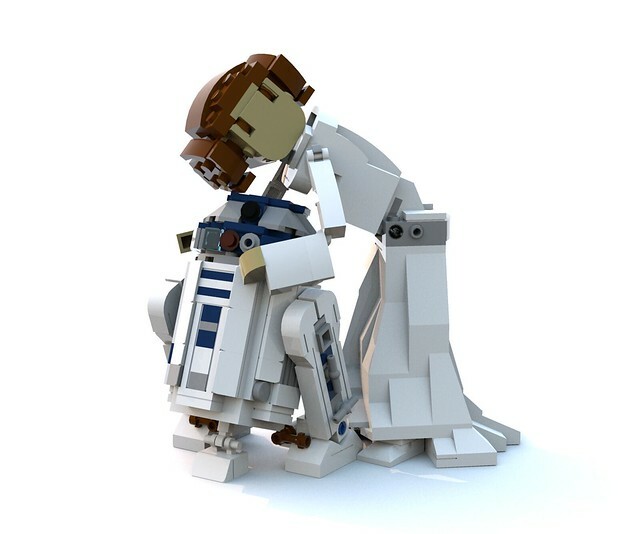 R2D2 is also available for a very small fee if you want to complete the duo and let the hugs commence! Categories: Instructions, Lego, MOC, Uncategorized | Tags: Character, Instructions, Lego, Lego Star Wars, MOC, Princess Leia, StarWars | Permalink. I have just opened, built and reviewed LEGO Angry Birds 75824 Pig City Teardown. 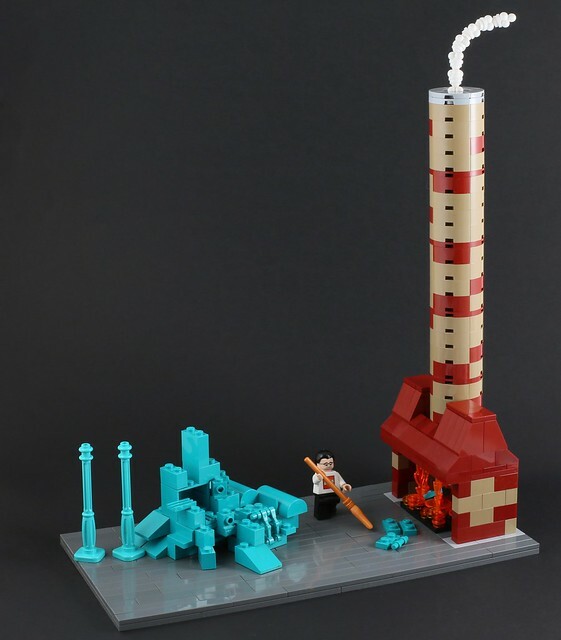 It is a fun set and has some great parts, colours and new LEGO elements. 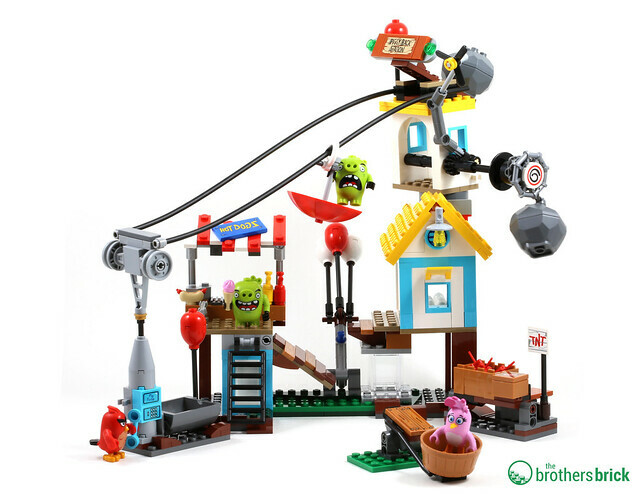 Click on the image below to go and read my review on The Brothers Brick! Categories: Lego, Uncategorized | Permalink. Part of the final scene in The Da Vinci code when Robert Langdon puts 2 and 2 together and makes..well…an implausible theory regarding the final resting place of the Holy Grail. Robert Langdon walks past the Louvre and the glass pyramid where I snapped this quick shot like any good paparazzi. He then takes a poignant, dramatic pause at the glass ceiling before kneeling in prayer? Best part is the music. I’m starting a short brickfilm of the final scene of The Da Vinci Code in celebration of BrickFlicks. Warren Elsmore’s BrickFlicks Exhibition is currently on show at The St Enoch’s Centre in Glasgow. Brick Flicks brings to life much-loved movies by recreating them in Lego and features everything from sci-fi and drama to action blockbusters. The exhibition runs from Friday 12th February until 18th April and will showcase everything from family favourites Wayne’s World, Wizard of Oz and West Side Story to Tron and The Godfather. I also wanted to play with the new Brickstuff pico lights I bought. I wish had the new receding hairline hair that comes with Peter Venkman in the Ghostbusters Dimensions Level set for Robert. 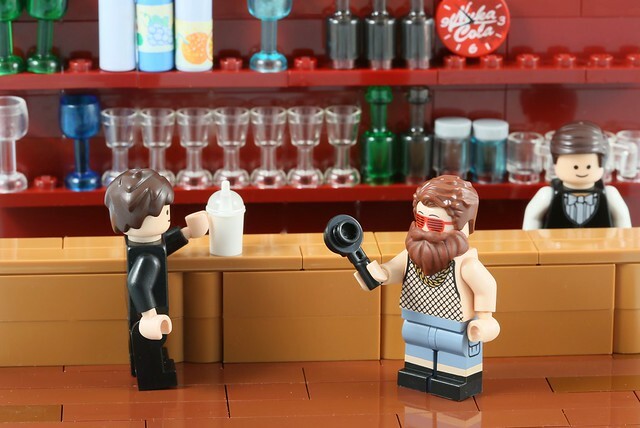 For more information about BrickFlicks at St Enoch Centre in Glasgow, please visit http://www.st-enoch.com/stores/brick-flicks/ or call 0141 204 3900. Categories: Brickfilm, Glasgow, Lego, Uncategorized | Tags: brickfilm, brickflick, Brickstuff, Elsmore, Langdon, Lego, Robert, St Enoch, The Da Vinci Code, Warren | Permalink. The Arvo Brothers (Ramon & Amador Alfaro Marcilla) have recently released their second book called Alien Project. It costs €26 + shipping and can be purchased via the Arvo Brothers website. The main bulk of the book contains detailed instructions for building their fantastic Alien figure and its base. There are also chapters explaining the inspiration behind the project and a rare insight into the development of a model of this calibre. Below is my review of the book. 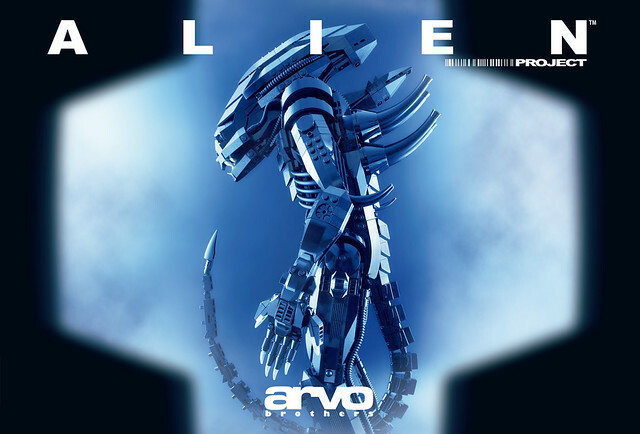 Categories: Instructions, Lego, MOC, REVIEW | Tags: alien, Arbo, Brothers, Instructions, Lego, Project, REVIEW | Permalink.